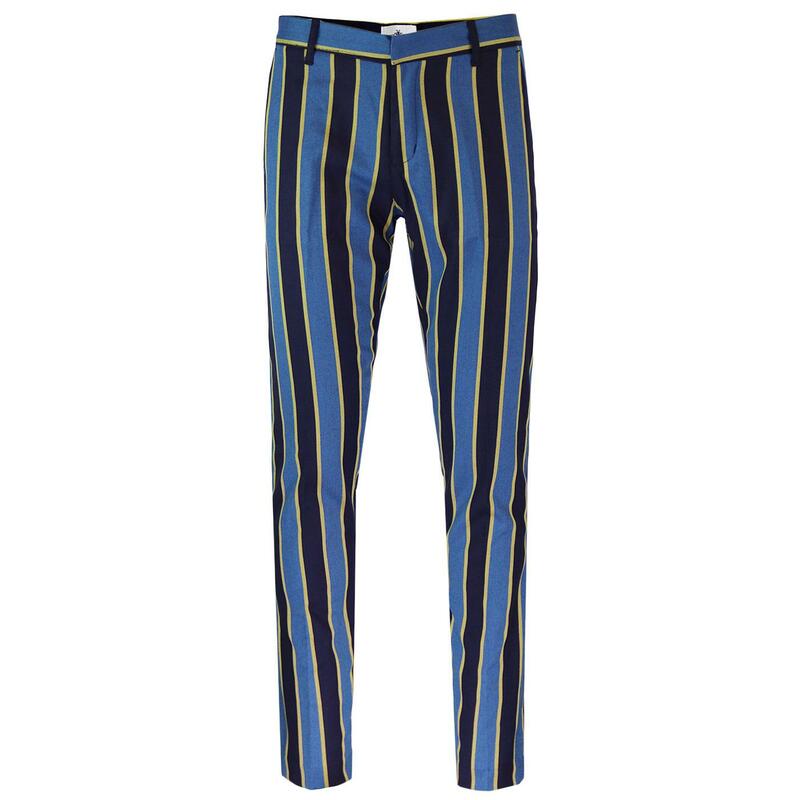 Madcap England 'Offbeat' 1960s mod Boating Stripe trousers in blue and yellow. 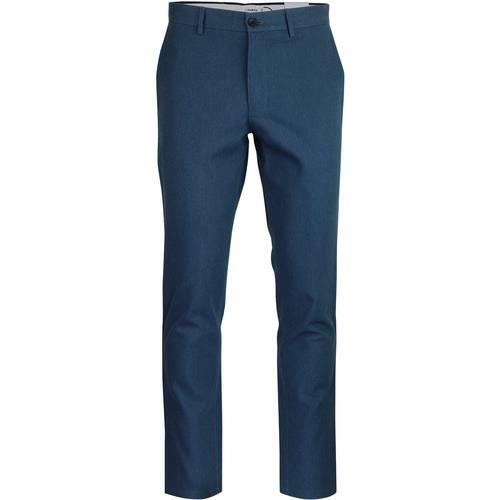 These slim leg striking dandy mod stripe trousers are sure to cach the eye. The bold retro blue and navy stripes are flanked by flashes of yellow and the trousers also feature a diagonal textured stripe that run throughout. Inspired by 1960s mod fashions with a hint of psychedelic style. 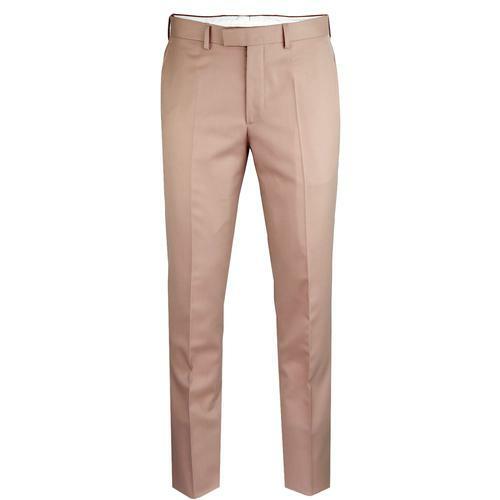 Benefitting from jetted back pockets, slant side pockets and clasic belt loops to the waistband. 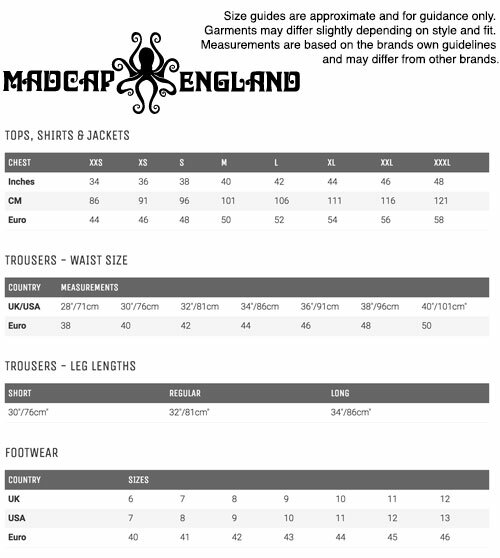 Clasp and button fastening, zip fly. Team these Madcap England 'Offbeat' stripe trousers with either the matching 'Backbeat' Double Breasted or 'Offbeat' Single Breasted blazer for an ensmble that Hendrix would be proud of! 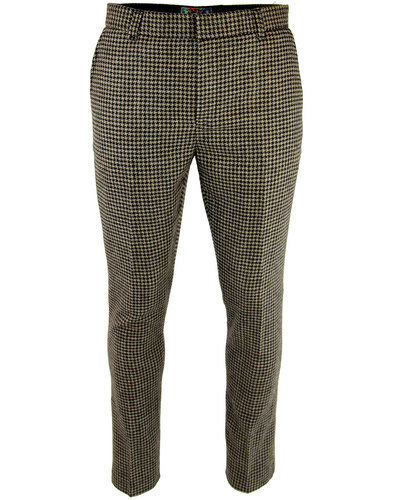 Madcap England 'Offbeat' men's 1960s mod boating stripe trousers. Blue and yellow bod stripes with a flash of yellow. Diagonal weave stripe adds texture. 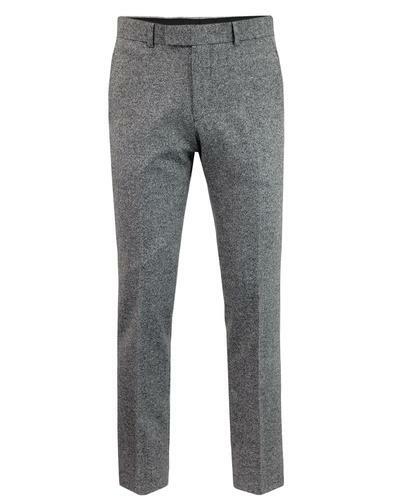 SKU: MC449 Offbeat Boating Stripe Trousers. Composition: 65% polyester, 35% viscose.